Woodgreen completes a project for Eureka! The National Children’s Museum in Halifax. 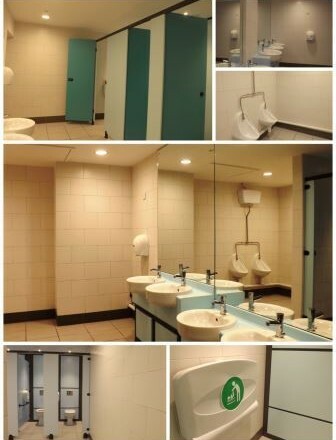 This scheme was to carry out the refurbishment to update the existing washrooms on the ground and first floor and changing places toilet with a new fresh and vibrant look. The refurbishment works involved the demolition of the existing washrooms, along with new floor, wall and ceiling finishes including modifications to the mechanical and electrical installations. The changing places toilet was installed with a robin tracking hoist, adjustable bed and washbasin. The entirety of the works were implemented in a live environment, ensuring minimal disruption to the visitors of the centre.